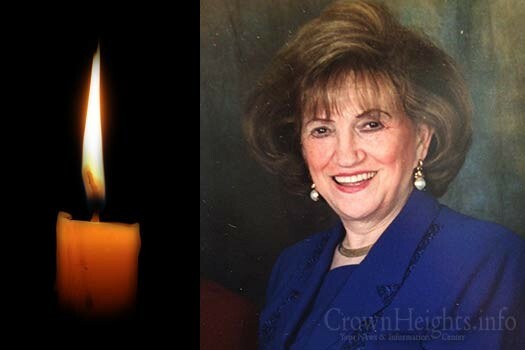 With sadness we inform you of the passing of Mrs. Yehudis Raksin OBM a longtime resident of Crown Heights. She was 89 years old. She is the daughter of the Reb Avrohom Boruch Pevzner the noted Mashpia and Choizer of the Rebbe Rashab. Mrs. Raksin served as the first president of N’shei Chabad. She is survived by her children Shterna Levitin (Crown Heights), Nechama Losh (Crown Heights), Laizer Raksin (Crown Heights), Mendel Raksin (Crown Heights), Boruch Raksin (Crown Heights), Zalman Raksin (Crown Heights), Chani Begun (Five Towns, NY), and Gitty Neuwirth (Montreal, Canada). She is also survived by her sisters Fruma Junik (Crown Heights) and Nechama Lazar (Crown Heights). 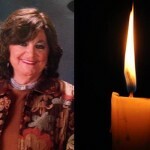 She was predeceased by her husband, Rabbi Shraga Feivel Raksin OBM and by her son Reb Yosef Raksin HYD who was murdered in N. Miami Beach, Florida. 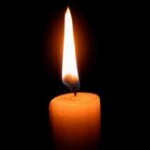 The Levaya will take place tomorrow, Thursday, 11:45am at Shomrei Hadas and will pass 770 around 12:30pm. 628 Empire Blvd, top floor, ladies side door, men front door. Shacharis at 8, 9 & 10am. Please do not send over perishable food platters without confirming with the family.